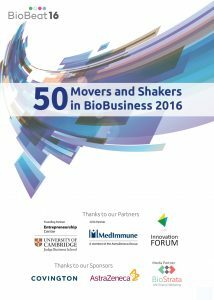 Here are the 50 top women in UK biotechnology who are making the world healthy, transforming today’s challenges into tomorrow’s opportunities. They are the pioneers who are setting the pace in laboratories, healthcare, entrepreneurial companies, established Pharma, finance, advice and policy. There are 24 Rising Stars alongside more senior colleagues, and they all share a common characteristic: they are all extraordinary leaders.